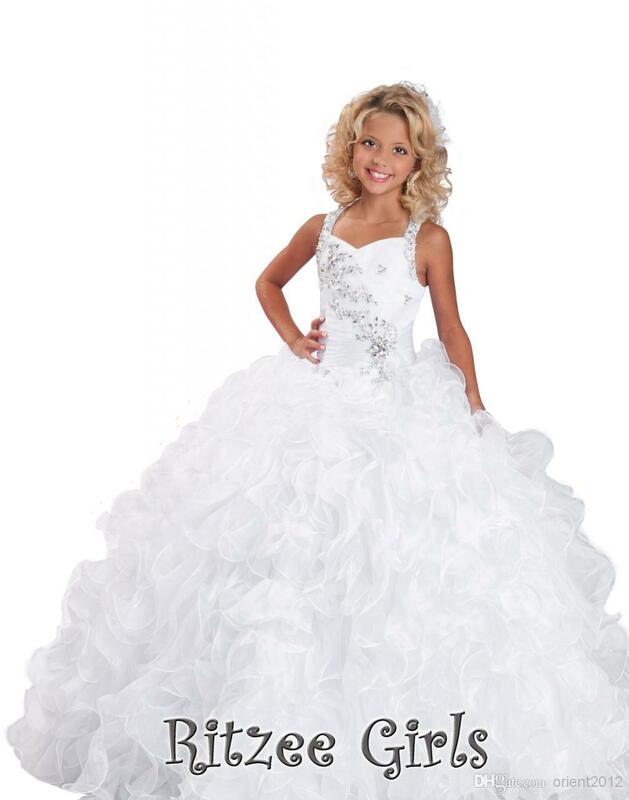 Infant Wedding dresses for flower girls. 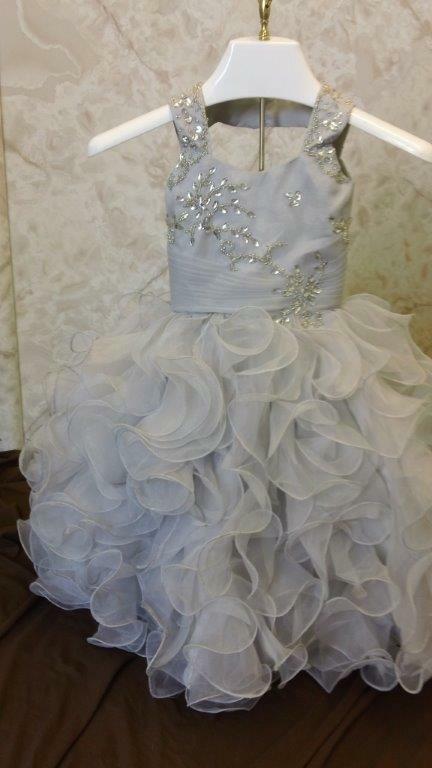 Infant wedding dresses with ruffle skirt. 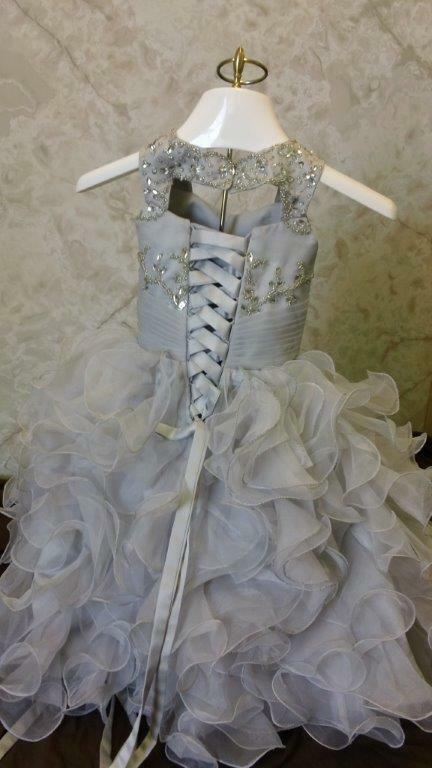 Adorable infant wedding dresses. 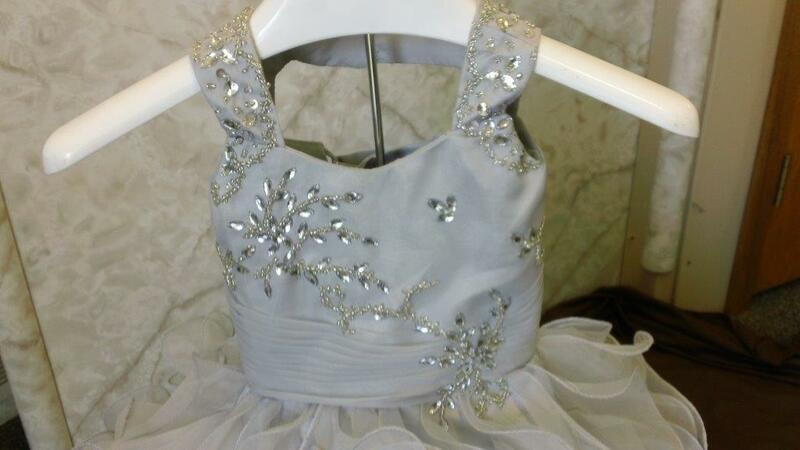 Silver flower girl dress adorned with tasteful crystal beaded design. 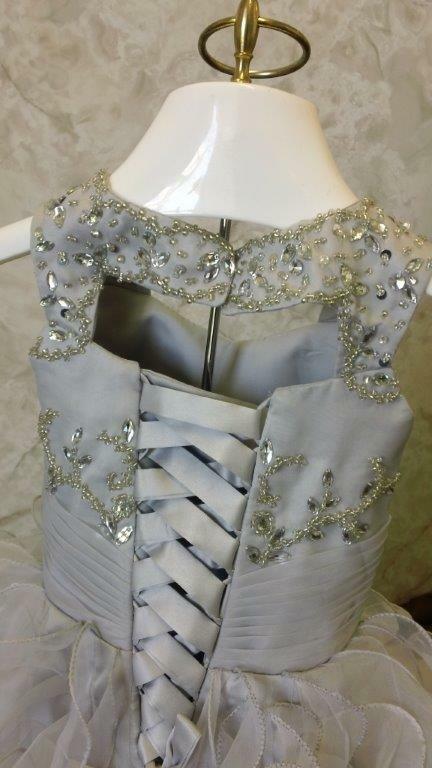 Open back dress with corset lace up for the perfect fit. 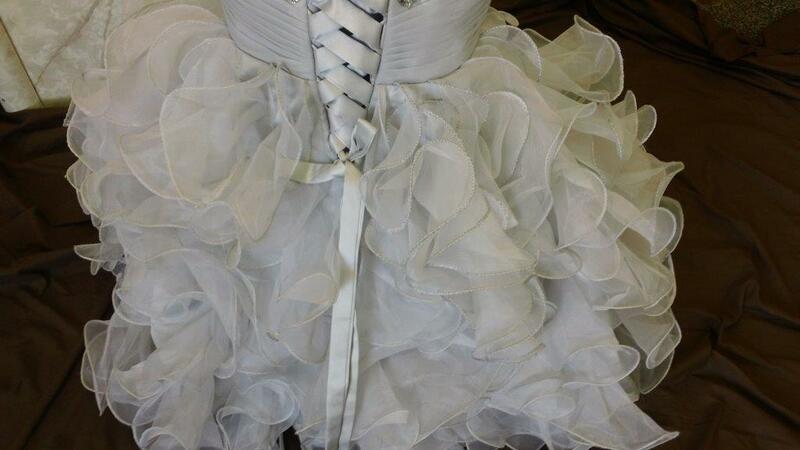 The skirt on flourished with tons of layered ruffles. 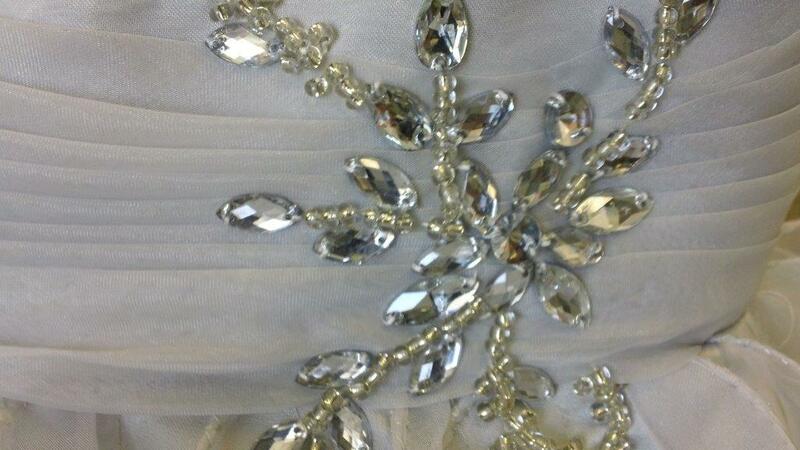 "match my pageant dress photo"
I received my flower girl dress today it's absolutely perfect thank you sooooo much. 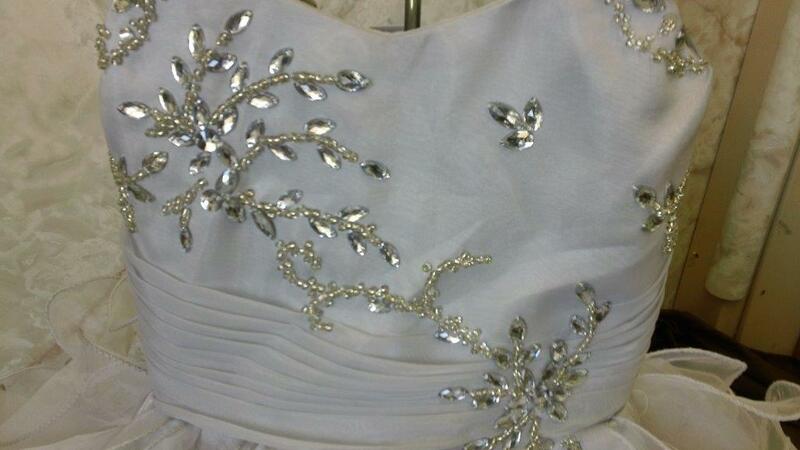 assisted by our customers pictures of this pageant dress from Ritzee 6239. 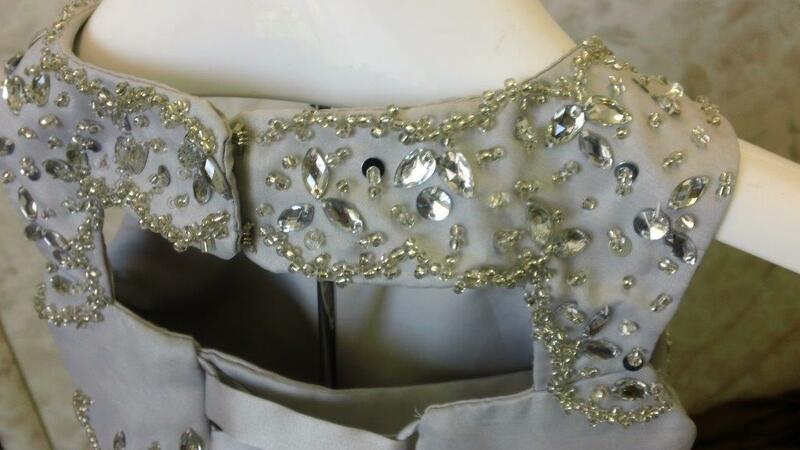 This bride helped us create this stunning flower girl dress.